Each year, 50,000 tons of trash are added to the Carroll County landfill in Westminster. With the growing amount of waste produced each year, coupled with a decline in recycling over the last few years, New Windsor officials are testing out a way to reduce the amount of trash the town adds to the landfill each week and increase the collection of recyclable waste. In November, New Windsor began a pilot project called Fair Trash Reduction (FuTuRe), aimed at reducing the amount of trash collected and transported to the landfill. The nine-month pilot requires citizens to purchase and use specific orange waste bags, available at the New Windsor 7-Eleven, for pickup. The 65-cent (small) and $1.20 (large) fee per bag offsets the landfill dumping charge assessed by the county. According to New Windsor Mayor Neal Roop, after the first month, the town has already seen a 44 percent drop in net waste based on the “pay-as-you-throw” pilot. For the same month in 2017, New Windsor collected 41 tons of waste; in 2018, under FuTuRe, that amount dropped to 23 tons. 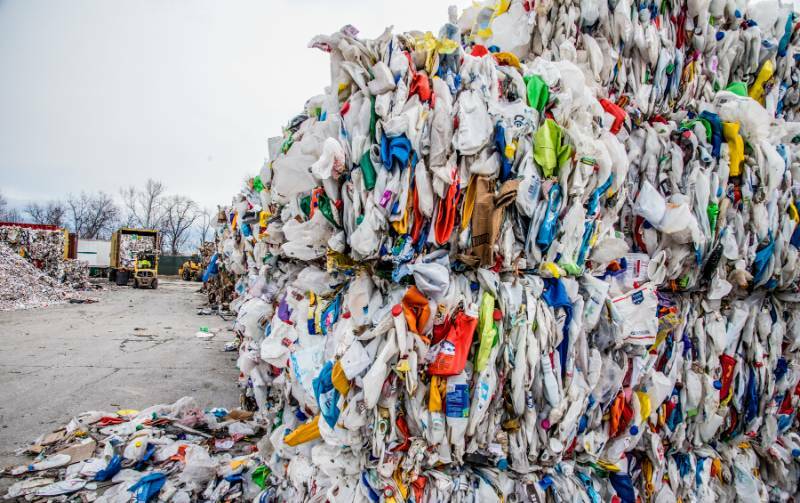 “The thought is that with people paying per bag, that would increase their recycling,” says Scott Moser, deputy director of the Carroll County Department of Public Works. Numbers support that expectation as well, with an additional four tons of recycling collected during the same time period in 2018. 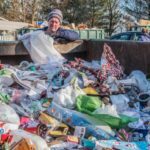 The program is implemented by Waste Zero, a waste reduction company based in Raleigh, N.C, that works with more than 800 municipalities and private organizations in the U.S. According to Kristen Brown, the company’s vice president of waste reduction strategy, the pay-as-you-throw program reduces trash collections by 40 percent to 60 percent. New Windsor’s initial 44 percent rate matches the national average, Brown says. 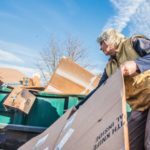 According to Brown, Waste Zero programs have seen a reduction in disposal of household items that can be reused. For example, small bathroom sinks and faucets go to organizations like Habitat for Humanity, and items like shoes and pocketbooks can be ground up and used for basketball court padding. “Our taxes are paying to bury it and could be shifted into a different stream,” she says. Since the program includes a reduced landfill tipping fee from the county, New Windsor’s 610 households each received a $35 gift card toward the purchase of the trash bags. Although the bags cost more than regular trash bags, they provide the incentive to recycle and dispose of non-waste products in other ways, thus reducing the amount of trash accumulated by individual households. Hauling for the project is provided by a company called Ecology. Ecology hauls the recycling as well. 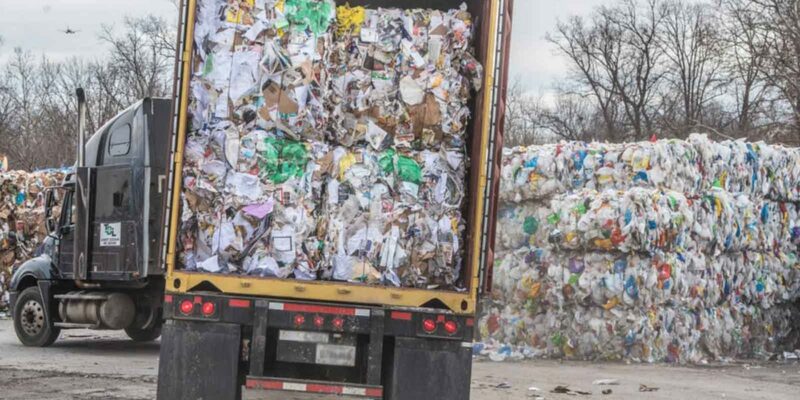 The program could expand to the entire county should it show a considerable drop in trash, and thus a reduction in landfill costs, Moser said. “Forty-four percent is pretty significant that the pilot program is a success,” says Roop. The pilot will continue for a total of nine months and then will be re-evaluated. Modifications could be made including the type and cost of bags used, costs for pickup and even a reduction in taxes, depending on decisions made by the Town Council. There remain some doubts, however. 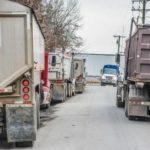 Brett Fogle, owner of Area Refuse Services, a subsidiary of Fogle’s Refuse LLC, expressed concern over the pay-as-you-throw program, as it limits rates for haulers. “It takes away profit from customers that don’t sit out much trash,” he says. Each week, Carroll Countians tie up trash bags filled with empty Styrofoam containers, plastic wrap and food scraps, and load them into garbage cans, which sit curbside awaiting collection. But is there ever a thought given to where the bags go? 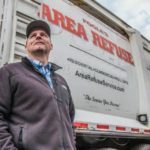 Each year, 100,000 tons of trash are dumped at the Carroll County Resource Recovery Park Northern Landfill on Baltimore Boulevard in Westminster. 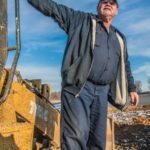 Nearly half of the trash is buried there, and the rest is hauled to larger landfills in Pennsylvania for burial at a cost to the county of $53 per ton. According to Moser, the deputy public works director, after trash is dumped at the 212-acre landfill, workers use massive mashers to make it as compact as possible. A layer of dirt is added, and process repeats with more trash the next day. The landfill comprises 5 areas of “cells,” designated for burial of compacted trash. Since opening in 1988, two of the cells have become filled and are closed off. Moser estimates the landfill will reach capacity in about 100 years. County officials have considered other ways to handle trash like incineration, but that is costly and compromises air quality, Moser says. A few such facilities exist elsewhere in Maryland, in Baltimore City and Frederick and Somerset counties. Carroll County is also considering pulling food scraps for what’s called anaerobic digestion, turning them into pellets that could be incinerated, or turning them into mulch, Moser says. 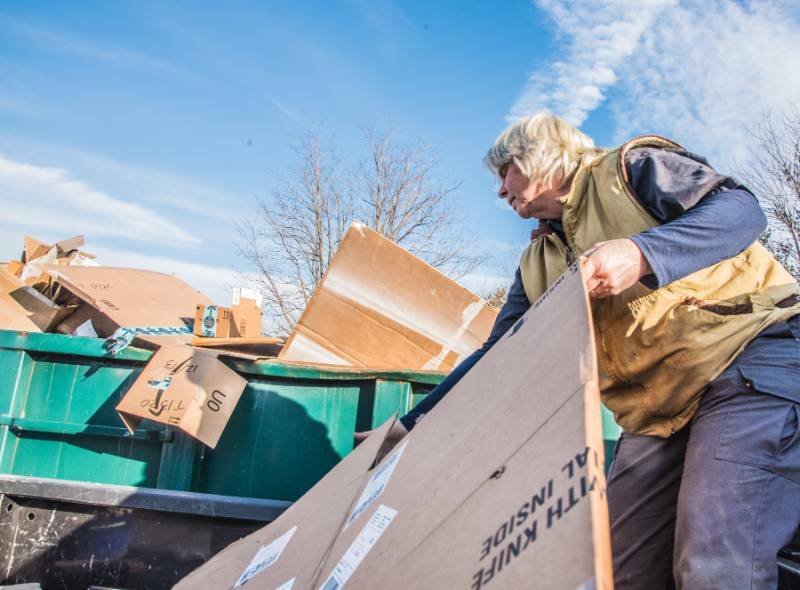 Recycling collection began in Carroll County in 1984 with small collection programs and centers that followed with large compartmentalized recycling containers stationed around the county. 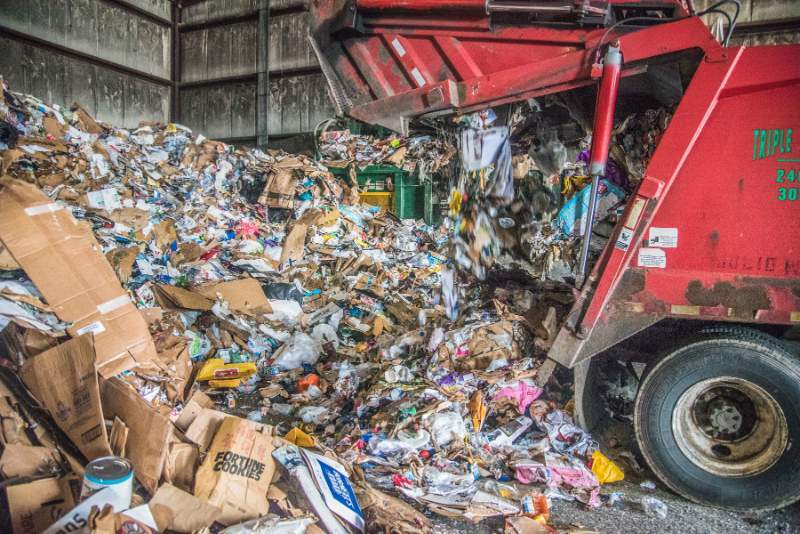 In 1988, the state of Maryland passed legislation which required each jurisdiction to adopt a plan for recycling, and that same year the Northern Landfill opened in Westminster, accepting both refuse and recycling. It was then mandated that Carroll County recycle 15 percent of its waste based on population. Today, the mandatory rate for Carroll County is 35 percent. According to Maria Myers, manager of the Carroll County Recycling Program, the waste diversion (Maryland Recycling Act or MRA) rate for the county in 2017 was 52.4 percent, down just slightly from 2016 but well ahead of the state mandate. This includes compostables, glass, metals, paper and plastic, as well as other recyclables like laser toner cartridges, oil filters and wood pallets. 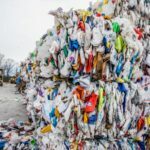 According to Maryland Department of the Environment figures, 117,366 tons of recyclables were collected in Carroll County in 2016, an increase of more than 40 percent over the prior year. The one challenge, she explains, is the amount of trash placed in the recycling bins. With the county now paying to haul recycling ($45 per ton), it’s an expense that could be reduced. “When in doubt, keep it out,” says Myers, who expects recycling numbers to drop as consumers become more educated and more compliant. The department promotes its message to “recycle right” through an advertising campaign on radio, cable television, newspapers, magazines and direct mail, and participation at home shows and community events and presentations to groups. Figures include residential collection at the landfill and reports from participating businesses. Reporting is voluntary and not indicative of all business recycling. “I know we’re probably doing better in Carroll County, but if there’s no environmental person in those businesses who want to report to me, then I can’t count it,” Myers says. The county has seen growth in its total waste diversion rate, which includes non-MRA items like asphalt, concrete, wood, antifreeze, motor oil, scrap metals and cleaning fluids. The county’s 79.41 percent overall waste diversion rate for 2017 is second in the state to Allegany County’s 87.53 percent and above nearby Baltimore County’s rate (54.22 percent) and Baltimore City’s (44.73). Carroll County contracts with Recycle America to collect recycling from the landfill. In early 2018, the county began paying $45 a ton for the service, previously provided at no charge. The fee coincided with a decision by China, previously one of the largest importers of recycled products, to ban 24 materials from import and limit contamination for any imported material to less than 0.5 percent, according to Lisa Kardell, director of public affairs for Waste Management, Recycle America’s parent company. Currently, Carroll County does not charge for recycling drop-off, but that could change. Recycle America transports collected recyclables to its Elkridge processing facility, where items are screened and sorted by material type. High-tech machinery separates the items and bales them. The company then searches for buyers. With the New Windsor pilot showing a decrease in trash collection, it also has generated an increase in recycling. 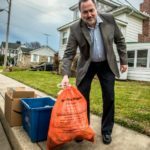 According to Brown, in the pilot’s first month, recycling collection grew from 21 percent to 38 percent as compared to the same month the previous year. Property taxes provide the funding for trash and recycling collection in Sykesville and other municipalities. Taxes also fund the $64-per-ton landfill dumping fee charged to haulers. Individuals pay $7 per carload. Curbside pickup is provided in Carroll County’s eight incorporated municipalities — Hampstead, Manchester, New Windsor, Sykesville, Taneytown, Union Bridge, Mt. Airy and Westminster. All but Sykesville engage contracting companies to collect and haul trash and recycling to the landfill. 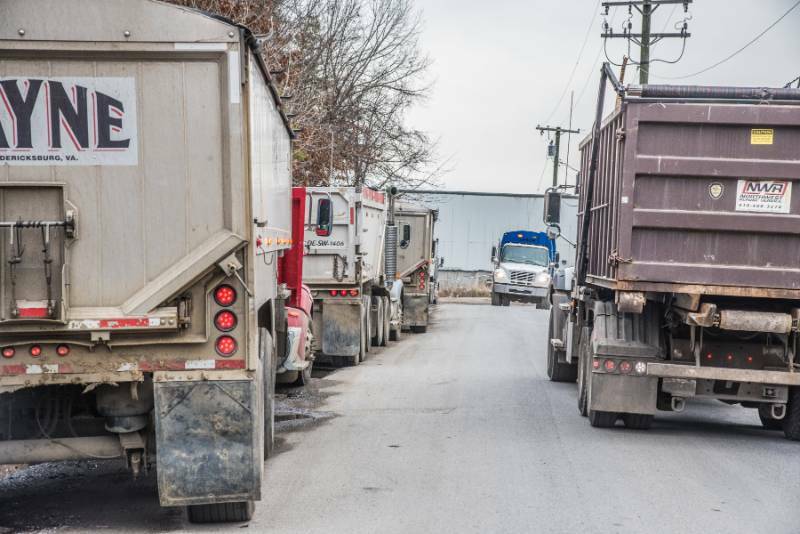 Residents living outside of town limits, in areas like Finksburg, Taylorsville and Winfield, must either transport their waste to the dump themselves or hire a hauler to remove it. Sykesville is the only jurisdiction to manage its own collection, a decision of the Town Council many years ago. A team of six runs two trucks which pick up from the 1,600 homes. 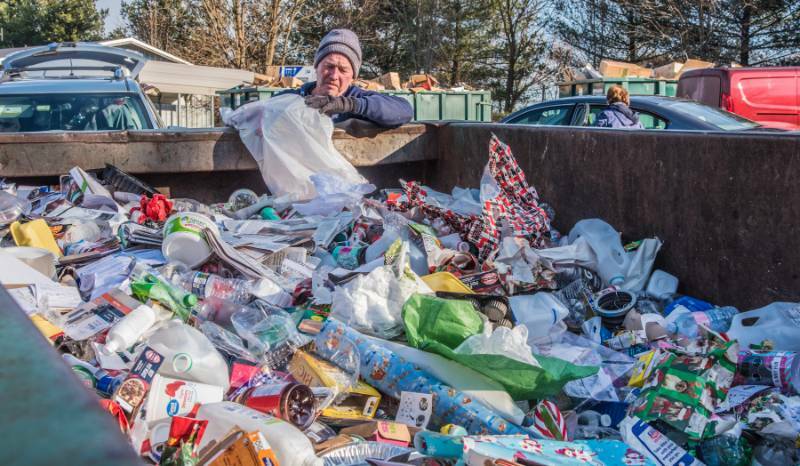 Sykesville workers spend about a half-day twice a week on trash and once a week on recycling pickup, Shreves says. Some of the collection is commercial pickup, but most businesses contract with third-party providers for hauling. Area Refuse Services, a subsidiary of Fogle’s Refuse LLC, is one of several haulers that provides contract hauling services for individuals and homeowners associations in the county. Residential hauling fees are $27.66 per month for weekly unlimited household trash and single-stream recycling pickup, both on the same day. 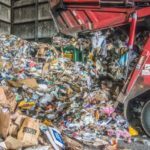 The company also provides fee-for-service bulk pickup and commercial dumpster contracts, priced based on type of business and weight of refuse. Contracts account for driver runs, fuel, and landfill fees. 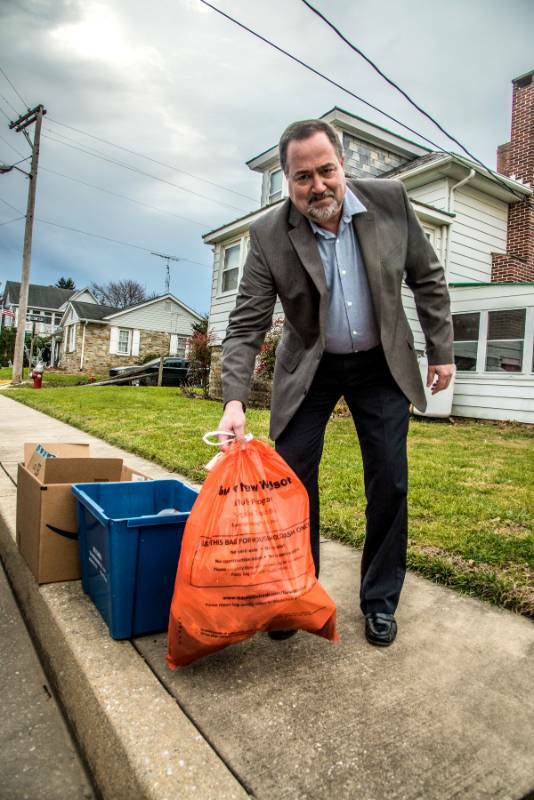 New Windsor Mayor Neal Roop hauls his bag of Fair Trash Reduction (FuTuRe) to the curb for weekly pickup. Roop says the pilot program has resulted in a 40 percent decrease in waste. Trucks hauling recycled material line up outside the Waste Management facility to offload their loads while others leave the plant empty. 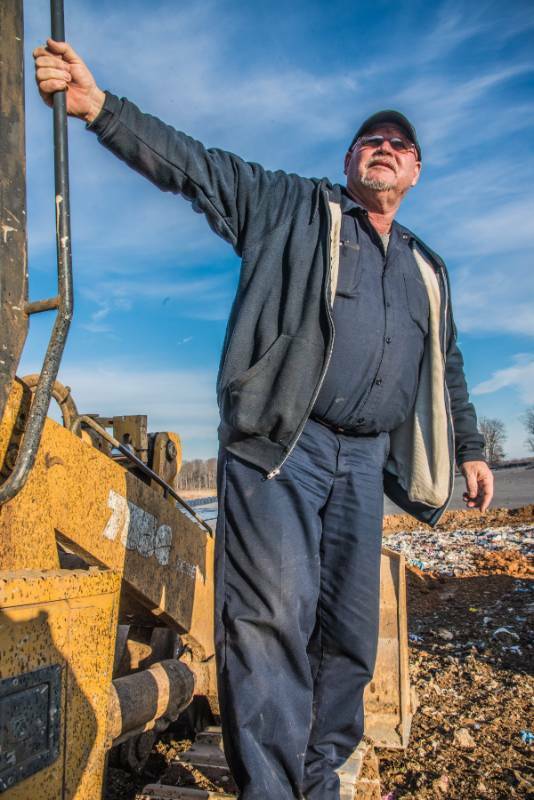 Northern Landfill manager Dwight Amos has been involved with county landfill operations since the early 1970s. Daryn Richards of Westminster adds another batch of mixed recyclable material to a large dumpster in the Northern Landfill in Westminster. Bales of recycled plastic material spread out across the back lot of Waste Management. Recycled material from a refuse hauler is dumped at the Northern Landfill to be transported to a processing facility in Elkridge. Carol McKechmid of Woodbine unloads sheets of cardboard at the Northern Landfill to be recycled. 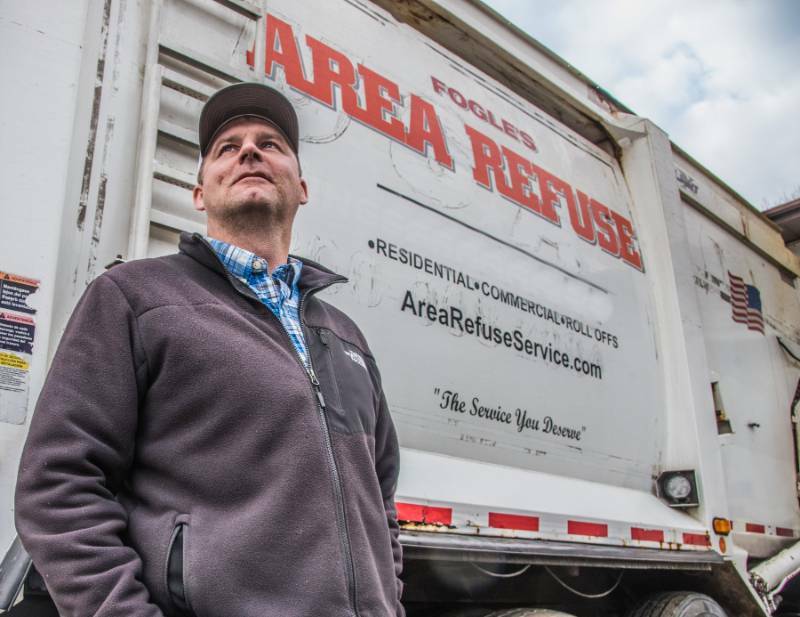 Brett Fogle is the owner of Area Refuse Services, one of several trash haulers in Carroll County.